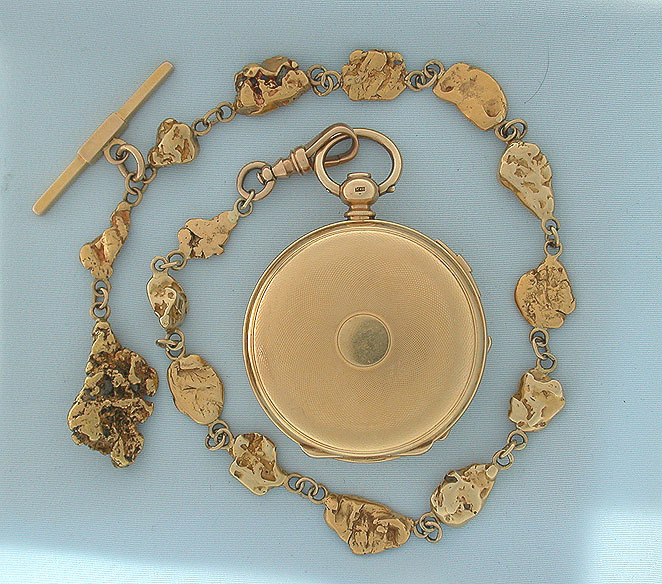 Fine, scarce and very heavy gold nugget antique pocket watch chain circa 1880. 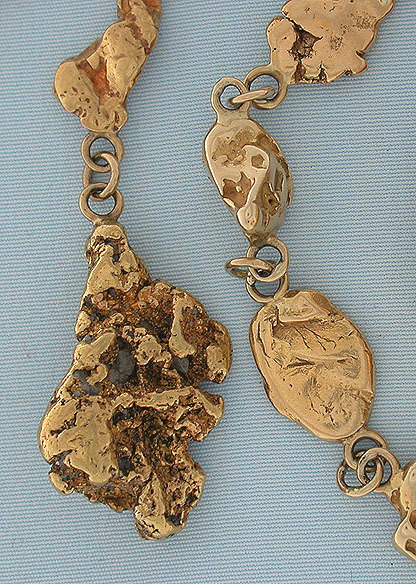 The chain made up of nuggets of various sizes, some with bits of gold quartz. Length 15.75 inches. Weight 56.8 dwt. Shown with a 49 mm watch, not included.